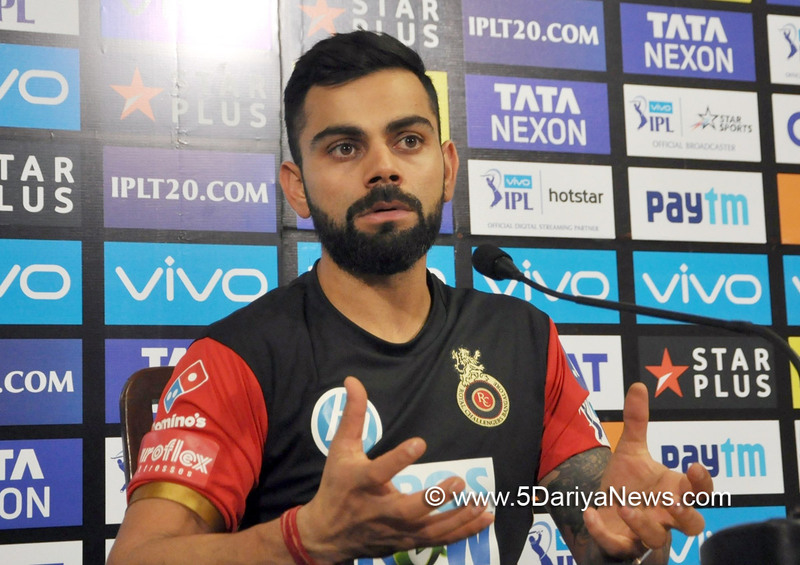 Virat Kohli on Saturday suggested he will bat at his preferred No.3 position for Royal Challengers Bangalore (RCB) in this edition of the Indian Premier League (IPL) given the abundance of options in their squad.RCB has often lacked options as far as opening batsman is concerned, but this time the likes of veteran New Zealander Brendon McCullum, South African stumper Quinton De Kock, England all-rounder Moeen Ali, Manan Vohra, Parthiv Patel and Mandeep Singh will give the Daniel Vettori-coached side a lot of options.Stating that he sees himself batting at No.3, a position he has made his own for India in limited over cricket, Kohli said it will also depend on the opposition and the situation the team is in. "In the past it was more or less that I had to (open the batting). I quite enjoyed that role. Having specialists at that order and I've done well for Indian team at three. I've a good understanding of playing at that position and gives the team a lot of stability," India skipper Kohli told reporters on the eve of the their IPL 11 opener against Kolkata Knight Riders at the Eden Gardens here. "I see myself starting there but it depends on who we playing against. But we are going to be flexible. We adapt to situations with the kind of pitches. Predominanttly I will start at number three," the 29-year-old added said.As an opener, Kohli has been extremely successful in the cash-rich T20 league, aggregating 1,750 runs in 43 innings at an enviable average of 53.03.The last time RCB played at the Eden Gardens,A they were bundled out for the lowest ever IPL total (49).Asked if that would be a factor in the mind ahead of Sunday's clash, Kohli said, "As far as last year's game goes, we don't have bad records here. It was just one off game we had here. We put it behind us immediately on that night. "It was bizarre. Very rarely you get out for 49 with that kind of batting. That shows all about T20 cricket what momentum can do in this format." Dashing West Indian opener Chris Gayle, 38, will not feature for RCB this time around despite being an important cog in their wheel for the past few years. Gayle, who will turn out for Kings XI Punjab, was let go as the team needed to plan for the future, Kohli said. "He has done a great job for RCB over the past few years but looking at the team dynamics for the next three years, that was taken into contention before making this decision and the whole management and team, we thought infusing new people will give us the kind of balance we require," he reasoned. "It will strengthen the areas we wanted to over the past few years. Taking nothing away from Chris, we decided to go in with the balance that can sustain in the next three years. We did not want to be relying on two-three people all the time and those were few reasons behind it," he explained.Kohli and Co. finished at the bottom of the pile last time and since the start of the IPL have come close to laying their hands on the elusive trophy thrice -- in 2009, 2011 and 2016. Asked about the team's strengths this time, Kohli said they are a balanced team than before. "It's a start of a lot of things. A lot of things have changed from the past, specially with the way our team looks this year," he said. "I think it's very balanced. We have lot of bowling options which we lacked in the past. It's been a team dominated by batting and pushing us forward in the tournament but I think this time around we can bank on both sides equally which I think is a very good place to be in. "RCB have the likes of Woakes Umesh Yadav, Washington Sundar, Tim Southee in their ranks besides Moeen who will be the all-rounder.